The FHRA awards banquet was held on Saturday January 26 at Woodfern on 54. We had a great turn out for the event and it was a true blessing to be able to gather with such a great group of men or women. The day included awards, great food, a very fun team game event and the evening closed with live music by Millerstown band with special guest Delbert Masterson. The event was catered by RedNeck Ranch from Clarkson and the food was awesome. 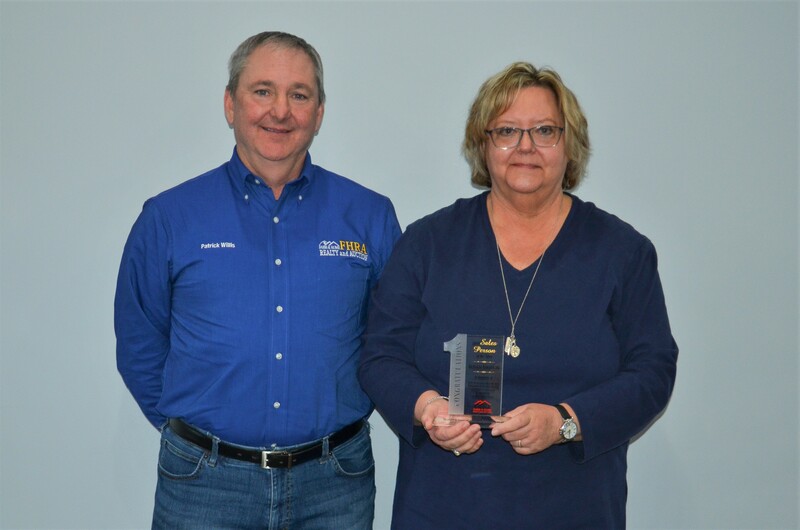 Top honors went to Susan Higdon winning the 2018 salesperson of the year. Susan had an amazing year and is such an asset to our FHRA family. Susan is a consistent Multi Million Dollar Producer. We are truly blessed to have Susan as a friend and team member. We can't wait to see what 2019 holds for Susan. We also had the great pleasure of awarding 3 different awards to our friend and colleague Delbert Masterson. 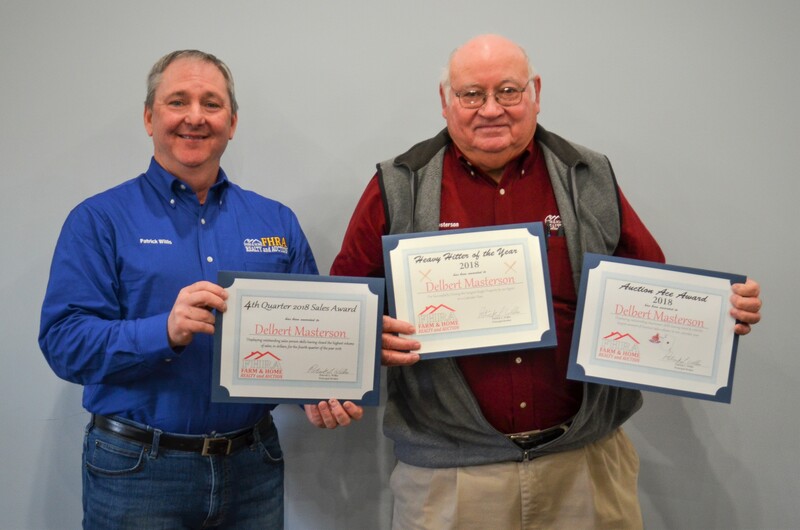 Delbert took home the "Auction Ace Award", the "Big Hitter Award" and the "Fourth Quarter Sales Leader Award" along with a cash award. 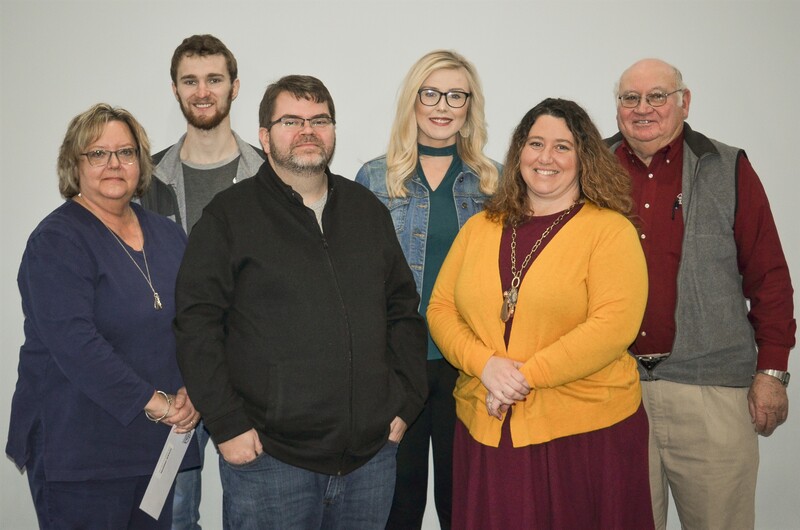 Delbert has earned our admiration and respect over the years and we are so happy to have him as part of the FHRA family. Other honors of the night included "Most Improved" going to Gabrielle Cockrielle for having a fantastic year in 2018. Gabrielle faced some strong adversity throughout the year and rose above it all to finish strong. 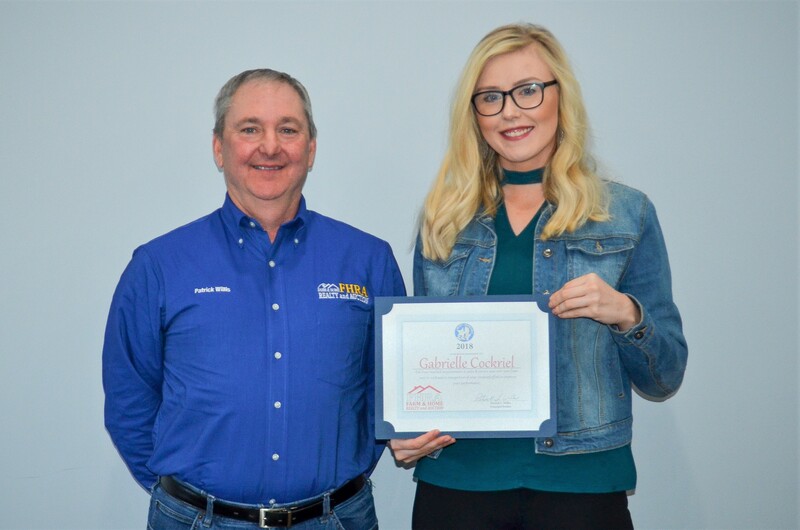 Gabby is one of the fastest rising stars at FHRA and we have no doubt great things are on the horizon for this young lady. Nick Ramsey earned the "Phoenix Award" having faced and overcome extreme odds to rise from the ashes and finish the year strong. Nick and his family have quickly become great friends and valued members of our FHRA family. 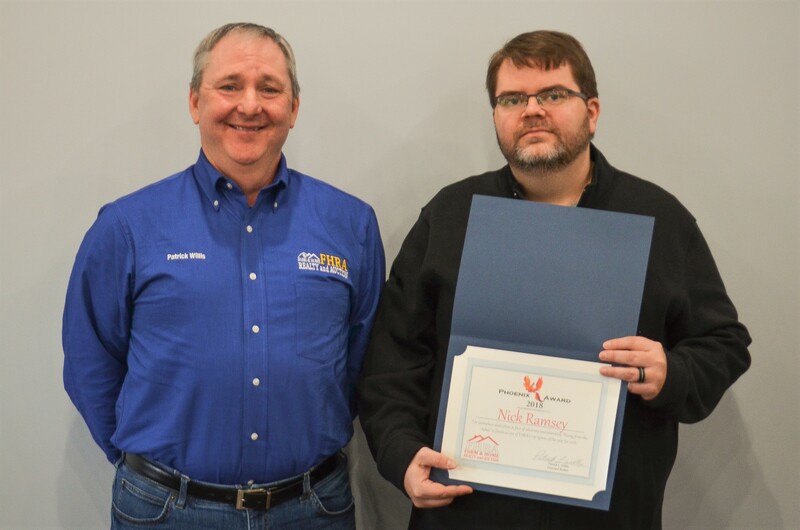 Nick was another one of the many Million Dollar plus agents with FHRA in 2018. 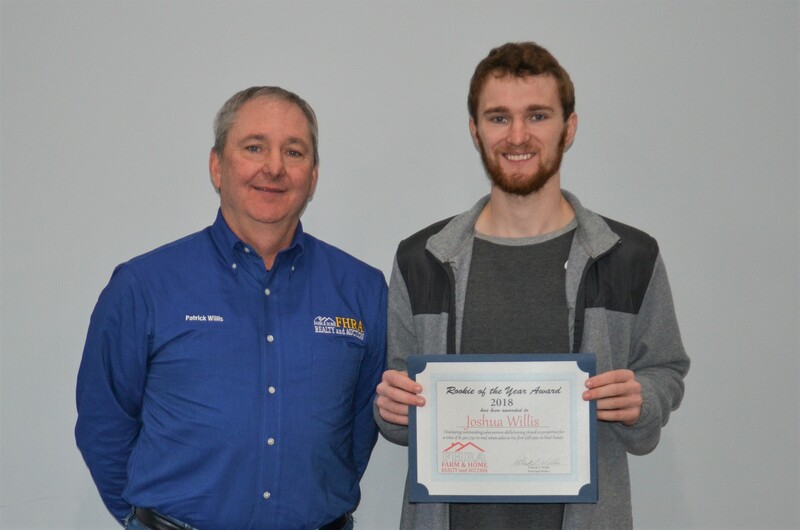 The "Rookie of the Year Award" went to Josh Willis for closing in excess of One Million Dollars in his first year in real estate. 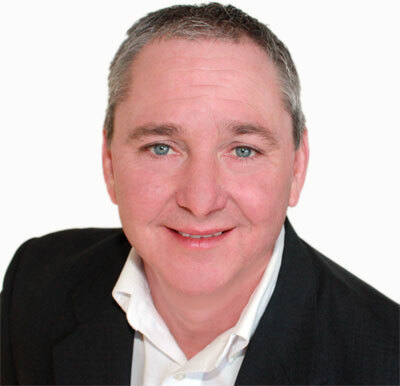 Josh has really excelled in the land and farm real estate market and is quickly becoming one of the rising stars in the FHRA family. 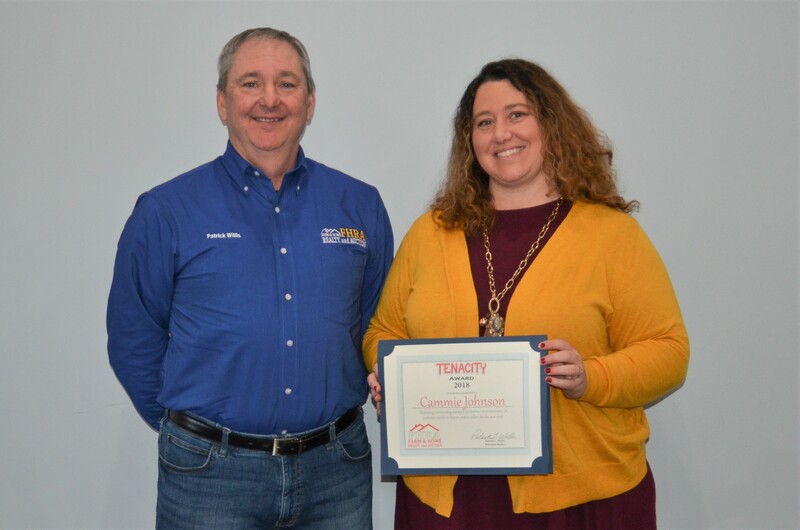 Cammie Johnson took home the "Tenacity Award" for having going above and beyond in client communications and service. Cammie closed a property for a lead that she received as her very first client lead. 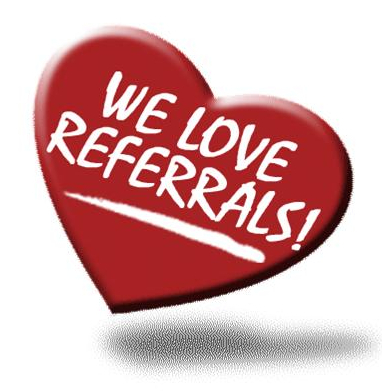 She working with them for over 3 years to help get them in the perfect property. Cammie is an great example of diligence and customer service. Way to go Cammie Johnson. 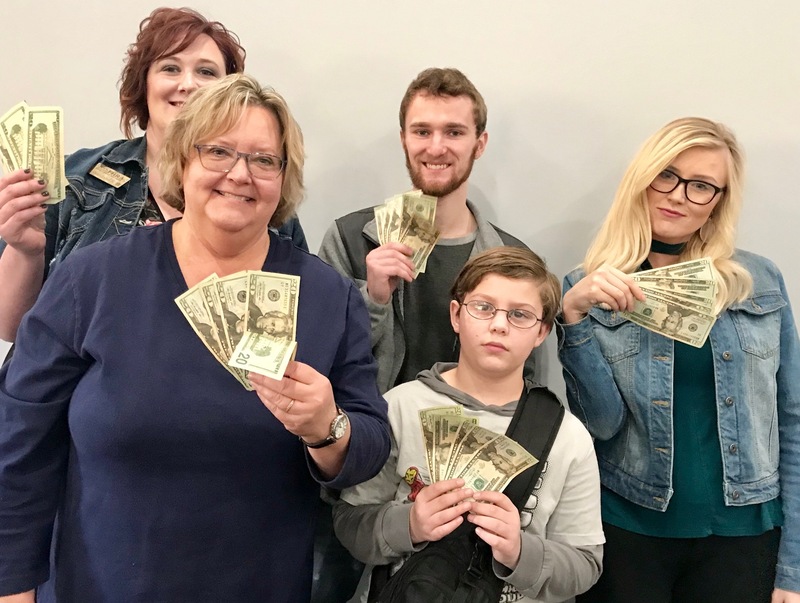 The winners of the FHRA Realtor Decathlon and the $500 cash prize were Susan Higdon, Shaua Gravil, Josh Willis, Garon Johnson and Gabrielle Cockrielle. The event involved extreme teamwork and these folks got it done with laughter and style.